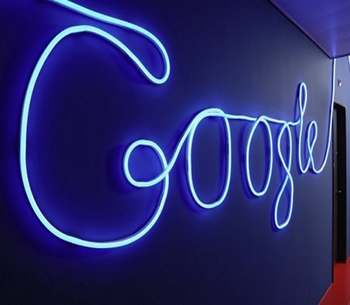 Internet search giant Google has reported strong first quarter results culminating in a 60 percent increase in earnings year on year, as well as an unusual two-for-one stock split that will effectively act as a one off dividend for existing shareholders. All told, Google's net income for the first quarter was $2.9 billion, with a 24 percent increase in gross revenues, to $10.65 billion. Traffic acquisition costs (TAC), used to bring traffic to their sites cost them $2.5 billion, leaving their total revenues at $8.14 billion for the financial quarter. Cost per click revenues declined for their second consecutive quarter though, down by 6% for the quarter, and 12% year-on-year. The continual decline could be the impact caused by users shifting towards mobile access, favoring it over more traditional desktop access, as smartphone usage continues to grow. As expected, 96% of Google's income came from advertising, with the US by far the largest market with 46% of their total revenue. Their second largest market is the UK with 11% of their revenues, at $1.15 billion. "We also saw tremendous momentum from the big bets we've made in products like Android, Chrome and YouTube," said Larry Page, Google's chief executive. "We are still at the very early stages of what technology can do to improve people's lives and we have enormous opportunities ahead." When announcing the share split, Page was keen to point out that no unusually large acquisitions were planned. "We have decided that maintaining this founder-led approach is in the best interests of Google, our shareholders and our users," Brin and Page said. "Having the flexibility to use stock without diluting our structure will help ensure we are set up for success for decades to come." The new shares will be non-voting stock, and will continue the stock structure created when the company was floated back in 2004. This essentially means that Brin and Page will retain control of the company, and will not be placed at risk of takeover bids further down the line. "These non-voting shares will be available for corporate uses, like equity-based employee compensation, that might otherwise dilute our governance structure," they further commented. Analysts keen to prize information out of Page during the hour-long earnings call about rumors surrounding Google's upcoming tablet found their questions repeatedly dodged, although he did seem to hint that something would be offered in competition with the likes of Amazon's Kindle Fire, not Apple's industry leading iPad tablets, as Google feels there is much success to be had at the lower end of the tablet market. Page said the drop in CPC value was down to a combination of foreign exchange rates, changes in ad quality and the growth of smartphone and tablet devices, especially the iPad, as Google holds a lucrative contract with Apple as their primary search engine provider.